Nothing is better than waking up with a syrupy pancake or a savory, innovative Eggs Benedict — especially if that comes with a side of Colorado sunshine and a mimosa or two. Though you probably already know Fort Collins offers tons of craft beer and delicious food, you might not know our town has some of the best, down-home breakfasts around. But after you take our tour of Fort Collins’ morning eateries, you may want to make this the home of beers, bikes, bands and brunch. Use our key to find the perfect place any day of the week! Snooze originally opened in 2006 in Denver by two brothers with a passion for culinary experimentation and gourmet breakfast food. Today you can find their delicious classics and exciting innovations in neighborhoods across Colorado, California, Arizona and Texas — and right here in Fort Collins! If you’re into dessert pancakes, creative Benedicts and craft cocktails, wake up with Snooze any day of the week. Set in a 133-year-old building, The Farmhouse at Jessup Farm is a casual restaurant focused on elevated country and healthy farm fare. And they have a ¼ acre and chicken coop in their backyard, so it’s one of the coziest places to spend Saturday or Sunday morning while eating a farm fresh egg. Taste the daily doughnut, split a shareable plate or taste one of their scratch-made, seasonal entrees. You can’t go wrong with a Bloody Mary, either! This breakfast paradise has been a Fort Collins favorite since it opened in 1933. As the oldest restaurant in Northern Colorado, Silver Grill Cafe has had plenty of time to learn the ropes and perfect breakfast. Though the cafe is most popular for their enormous, gooey cinnamon rolls, don’t miss the rest of the menu — filled with American classics. We are all about merging brunch with some of Fort Collins’ best Mexican food and delicious margaritas. At the Rio, you can get Mexican-inspired classics with innovative preparations. On Saturday or Sunday from 11 – 4, try the best breakfast tacos in town or a heaping plate of Breakfast Relleno with in-house roasted green chiles stuffed with scrambled eggs and topped with salsa roja, jack cheese, potatoes and black beans. Locality is a brand new FoCo restaurant with a chef-driven menu dedicated to local and fresh ingredients. Their farm-to-table ideals mean every dish is prepared with sustainable and fresh ingredients to create flavorful, crafted meals. They only serve brunch on Sundays, but it’s worth planning your weekend around. Order the Sourdough Pancakes and we promise you’ll want to come back! The Daggetts have been a part of the Fort Collins community since the 90s, learning, developing and testing their food experience along the way. With Rise! they’re finally offering the breakfast place we’ve all been waiting for, serving fresh wholesome foods made from scratch. Love pancakes? Try a banana ‘cake with Peanut Butter Maple Butter. Or, order Gluten Free Corn Cakes with House Berkshire Chorizo Sausage and Roasted Poblano Jam! No matter what time of day or meal you’re craving, The Kitchen does it right. Their Saturday and Sunday Brunch is a must-try — especially if you love local ingredients, hand-crafted dishes and, of course, mimosas. Order the French Toast made with challah bread for something sweet or a savory plate of Biscuits & Gravy. Whatever you do, be sure to order a side of the Breakfast Potatoes! Choice City serves breakfast, lunch and dinner seven days a week. Their breakfast menu has the perfect mix of savory and sweet dishes alongside some of the most creative Egg Benedicts we’ve ever seen. 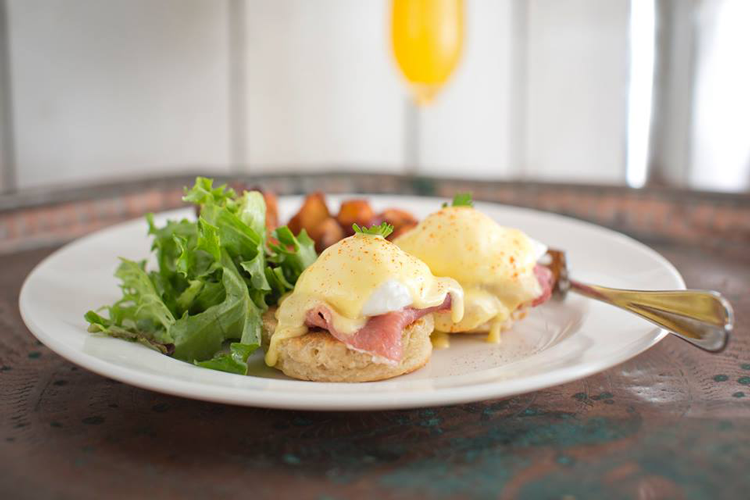 Try the Potato Benedict served with creamy potato cakes or the Hot & Spicy topped with their very own capicola ham! Lucile’s is a Boulder original that has nestled in perfectly in towns throughout Colorado. In fact, the Fort Collins cafe has become a favorite for locals and visitors alike! Inspired by the family’s Creole history, the mother-daughter team created an inspiring menu filled with jaw-dropping options. We suggest the Eggs New Orleans, a twist on Eggs Benedict served with fried eggplant, poached eggs, creole spice and hollandaise. 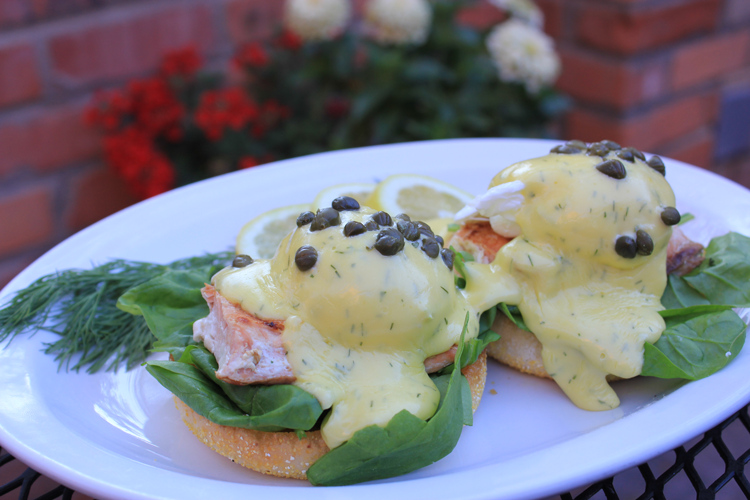 Rainbow serves one of the best breakfast menus every day of the week on one of the best garden patios in all of Fort Collins. The cozy, sunny atmosphere is the perfect way to wake up on a Wednesday or catch up with friends on a Sunday morning. As one of our favorite vegan and vegetarian-friendly restaurants in town, their menu is packed with meals to satisfy every diet and every craving. Cafe Vino may be a favorite for dinner dates and business lunches, but don’t forget they serve up a delicious breakfast every day of the week! We suggest the House Cold-Smoked Salmon for breakfast or the sweet Stuffed Challah French Toast. 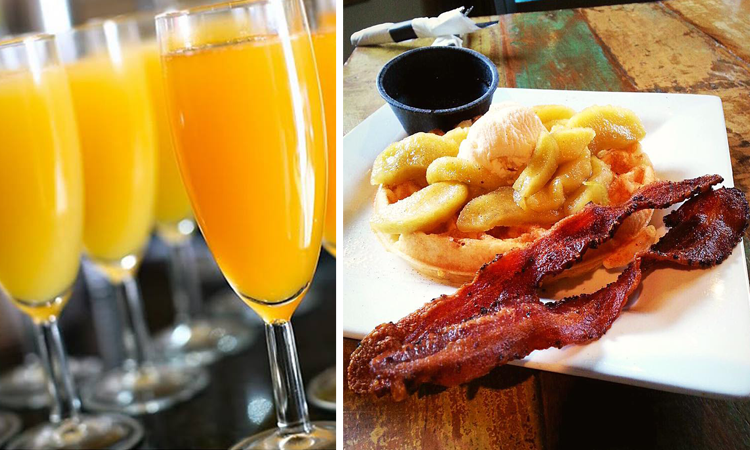 Pair your meal with something from their extensive breakfast cocktail list! 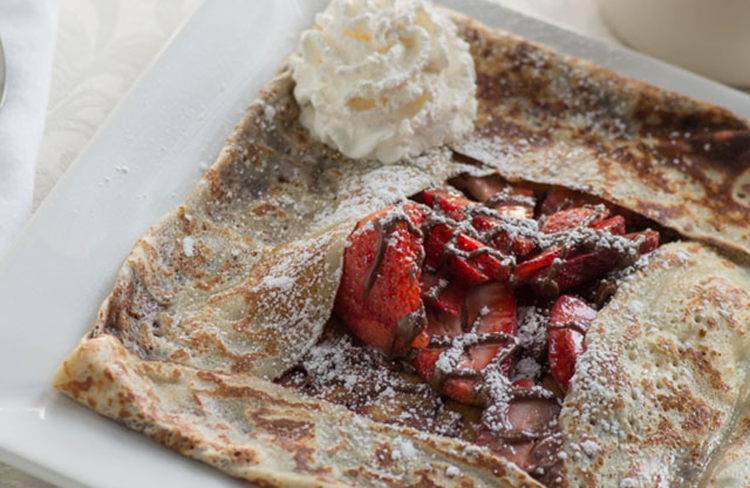 La Creperie is one of the only places in Fort Collins to find French pastries and inspired meals. Come in for breakfast and you’ll find scratch made crêpes, galettes, croissants, brioches, baguettes and more! If you’ve never been, introduce yourself to French cooking with the Cocotte Brioche — two poached eggs nestled in a homemade butter brioche with either poblano, mustard sauce or Hollandaise sauce. La Luz regular menu of tacos and tequila might not inspire you to eat breakfast, but that’s only because you haven’t tried it yet! Come by on Saturday or Sunday for brunch and you’ll find all your favorite Mexican-inspired breakfasts served with La Luz’ signature flare. Cornmeal Pancakes, breakfast burritos, Chile Relleno Omelettes — they have it all. Blue Agave is a contemporary southwestern grill with a scratch kitchen, fire pit patio, guacamole made to order, house-infused tequilas and some of the best sangria in town. If that doesn’t inspire you to brunch this weekend, we don’t know what will. 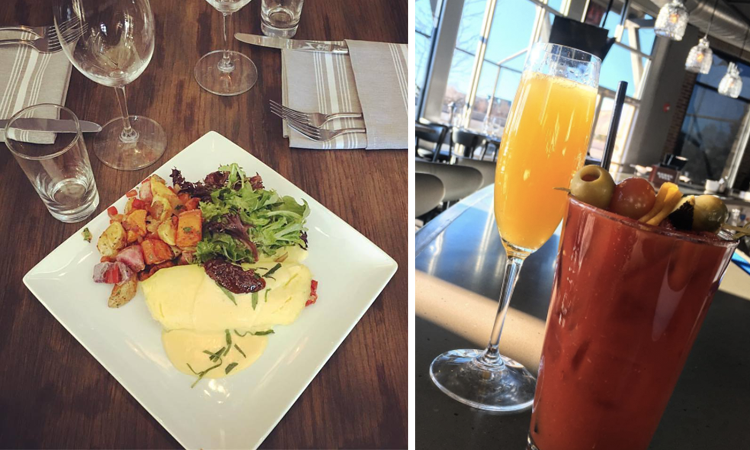 Get a house-Infused Bloody Mary or a bottomless Mimosas to celebrate the weekend! 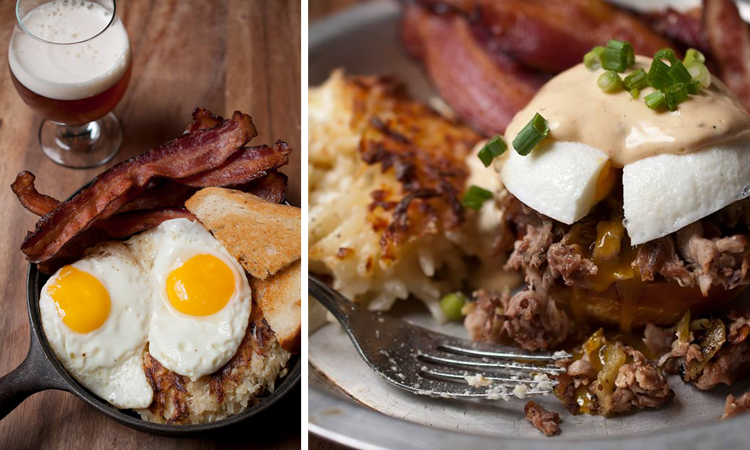 Every weekend, William Oliver’s opens their whiskey bar and bacon-packed menu for brunch! The menu is simple but offers hearty and healthy options — and plenty of bacon, of course. Create your own mix at the cereal bar, order up a breakfast sandwich and make sure to try the Bloody Boar — bacon vodka, housemade bloody mary mix, and a bacon-salt rim garnished with bacon, two olives and a lime! If you’re not sure what to order for breakfast, Urban Egg’s diverse, delicious and innovative menu won’t help you narrow it down (neither will their drool-worthy Instagram). But there’s no rush! Order an Organic Morning Margarita or Maui Waui Mimosa with pineapple vodka, orange juice and Prosecco and peruse the menu. 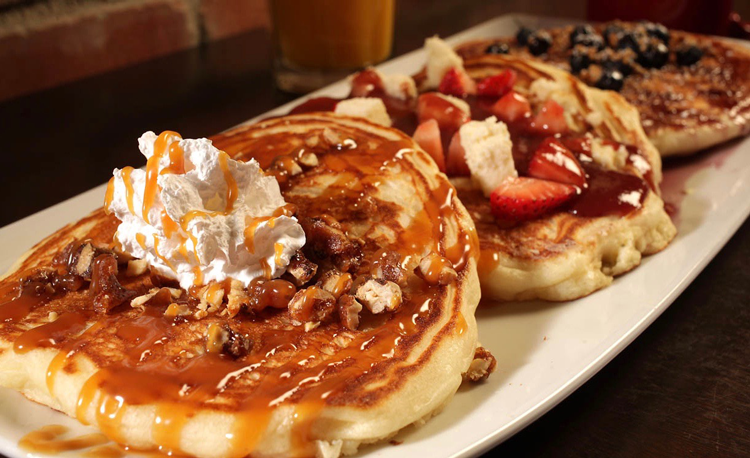 If you really can’t decide, get the Pancake Flight with three different flavors! At this Fort Collins original, they make everything fresh each day — from the Hollandaise to the whipped cream. Stop by in Greeley or FoCo any day of the week for a meal you’ll want again and again. Then, take on the Butters challenge: eat five stacks of pancakes in under thirty minutes and it’s free! You’ll also win a t-shirt and a gift card. Cafe Bluebird is about classic breakfast, comfort food and a cozy, neighborhood atmosphere. Since 1982, they’ve been family owned and operated right here in Fort Collins. Their menu of locally sourced ingredients and homemade recipes is the perfect way to wake up every day of the week! 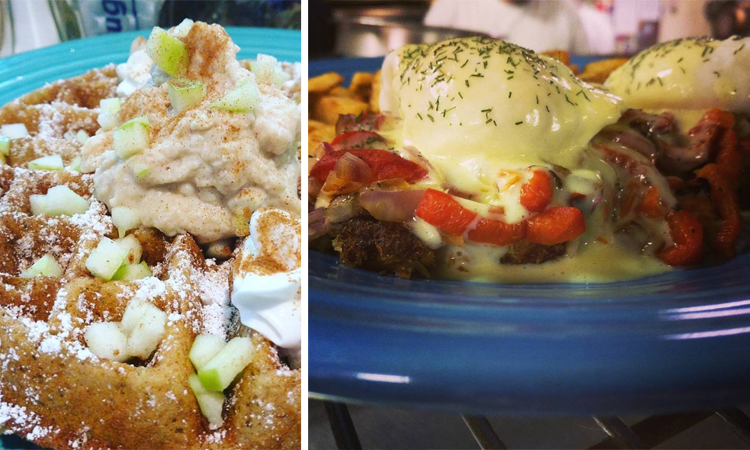 Try the Manda Berry Waffle, Country Fried Steak and Eggs or Crepes Florentine and settle in with the family. 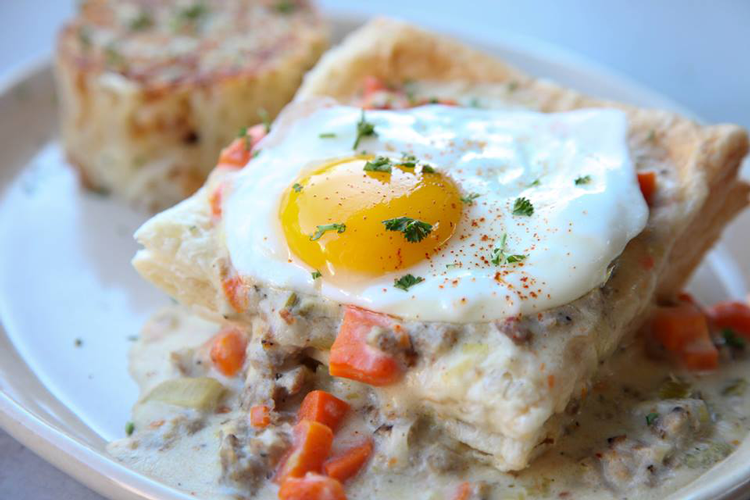 From 10 a.m. – 2 p.m. on Sundays, Austin’s serves one of the best brunches in Fort Collins. Filled with comfort food classics for breakfast and lunch, the whole family can find exactly what they’re craving. For something unique, try the Quinoa Salmon Cake Benedict with all the Benny toppings on a pair of quinoa salmon cakes. Moot House’s Sunday brunch is packed with Northern Colorado flare. Order a Beermosa and NoCo Benedict with poached eggs, applewood bacon, roasted chile hollandaise, a pretzel bun and hash browns! 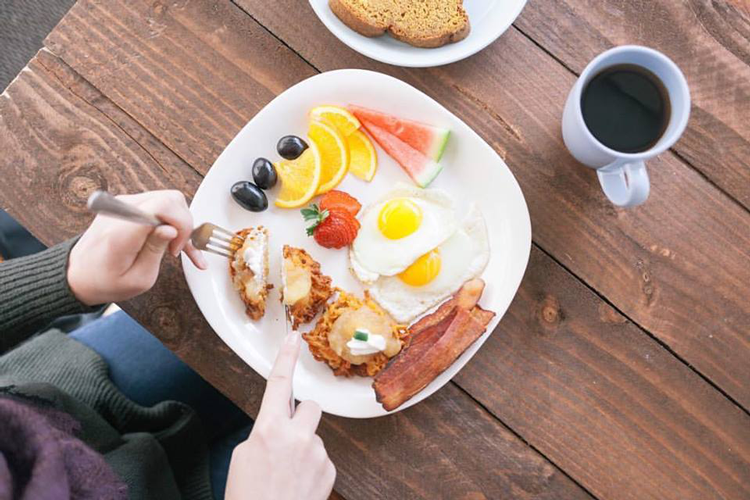 Share your favorite Fort Collins brunches and breakfasts with us in the comments below.